Designed by busy parents, for busy parents, Baby Tracker offers a simple, streamlined way to track your baby’s daily habits, health, and exciting “firsts” of those precious early days and months. Record feedings, diaper changes, and sleep patterns with a quick one-handed tap, then feel free to go back later and add details and even photos. Baby Tracker makes it simple to track all of your child’s important information for doctors and caregivers, as well as share all the exciting milestones of his or her development with friends and family. Perhaps most importantly, Baby Tracker handles all the details so you never have to take significant time away from the joys of parenting. * Settings for nursing, formula, solids, or any combination. * Look at logs to compare them for a more comprehensive overview of your baby’s health and wellbeing. I think they have thought of everything when developing this app. You can tell parents developed this and that they really considered every last bit of information new parents might want. Especially helpful is the fact that my husband and any other caretakers can also download the app and be on the same account. This way, while I'm at work I can see the baby's activities including when and how much she took her bottle, when diaper changes occurred and their condition, when she napped, and really anything else the caretaker wishes to log. It's really helpful in discovering patterns in baby's eating, sleep, and other behaviors. Also helpful when trying to remember when something last happened (say the doctor wants to know when the last dirty diaper was), you don't have to remember because you can look. One suggestion I would make is to add a feature for tracking and reminding mom's medications. Having had a c-section, aside from having to keep track of everything to do with baby, I also had to keep track of my own pain management meds. It would have been nice to just track them in the same app where I tracked baby. Perhaps it could be a feature you turn on in settings to use while needed and then turn off once it's no longer needed so it's not bogging down the main entry page once mom is healed. However, this critique isn't enough to lessen my love for this app- it would just be an amazing above-and-beyond feature. I don't write reviews, but this app is a must have with a newborn. We have only been using it for the past 4 days but it has added some organization and sanity to our lives. Our son had jaundice and we needed to pay attention to what kind of diapers and when/how much he was feeding. 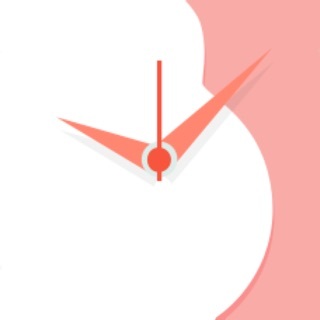 Being so exhausted, it is easy to not pay attention to what time the baby ate last or was changed last. I remember at my last appointment I was trying to calculate how often the baby fed and how much etc. I'm ready for our 1 month appointment now. I can literally show his doctor how often he eats, is having wet/dirty diapers, and how much he is sleeping. I tried writing all this down on a log, but we kept forgetting to do it and was guesstimating times. At 4 am in the morning I can just press the plus sign and log how much and it records the time etc. I haven't played with too many features, but have noticed you can log activities like tummy time, the babies weight/ length. I love that there is a chart to see where he is on the charts with growth. I wish I had looked or found an app like this with my last baby. I also love that this app doesn't cater to just breastfed babies or formula fed, but both. This is also great for moms supplementing as they can log both very easy. It gives an option to log pumping sessions as well. You can also add notes with all of your logs. I have a 5 month old and have used this app daily since she was about 4 weeks old. It's so great to see how long it's been since I've nursed the baby or changed her - let's face it, during the newborn stage it's really hard to remember. And forget about trying to remember which side you started on last time! This app tells you everything. It's very user friendly. When my LO was a newborn she didn't sleep much and it was helpful for me to see just how much sleep she was getting each day! My only complaint that I've had since day 1 is that I'd like the nursing part to "lock" the screen when in use. Near the end of my pregnancy I had an app that would lock while counting contractions, which was so helpful to not have to turn the phone back on constantly. When she is nursing, my phone will go to sleep and when she's done I have to fiddle with my phone, pick up my phone, enter the password, get everything set up just to tell it that she stopped eating. This happens all day every day and gets a little annoying. I've since changed the settings on my phone so it won't go to sleep for a longer period. I don't care for this since I only adjusted the time for this app. Please app, keep my phone on while she's nursing and this will be a 5+ star app!